The New Iberia Police Department responded Saturday night to a shooting that occurred on Mississippi Street. Officers and Detectives processed the scene and interviewed multiple witnesses. 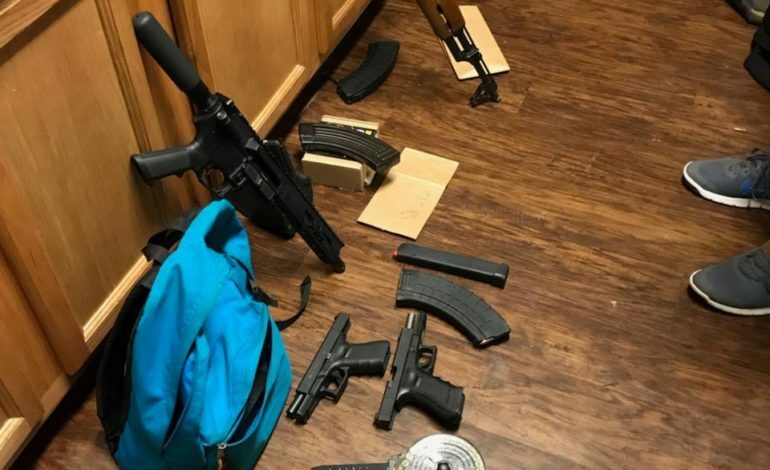 This led to Detectives obtaining a Search Warrant for an apartment on Mississippi Street and the recovery of several firearms. Detectives arrested Tresean Jones, Jr., 20 and a 15 year old Juvenile for Attempted 2nd Degree Murder, Illegal Use of Weapons. Jones was further charged with Felon in Possession of a Firearm. Detectives are currently working on arrests warrants for 5 other suspects, so further arrests are expected. Jones was booked into Iberia Parish Jail and the 15 year old Juvenile was booked into Lafayette Juvenile Detention Center. With the recent upswing in crime, be assured that Your New Iberia Police Department is focused in its mission to keep you safe. We will utilize ALL resources to continue to make sure that the criminal element has no room to maneuver.